Adorable Shiba Inus pose against a black background, watching over your keys. This key holder comes with three rings for you to attach your keys, and is topped off with a cute bronze bone charm. 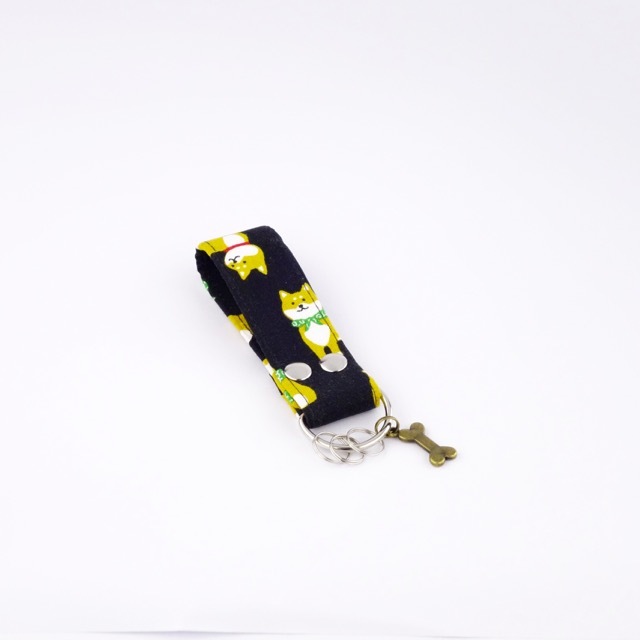 Perfect for the Shiba Inu lover in your life!